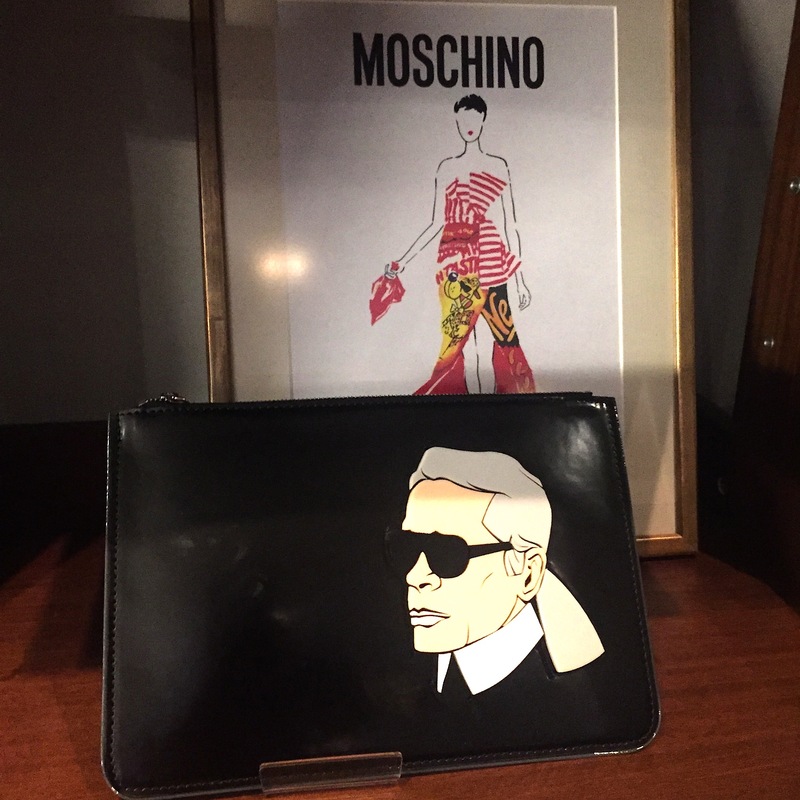 Last night at Matches fashion popup event in HK: D&G, Peter Pilotto & more! 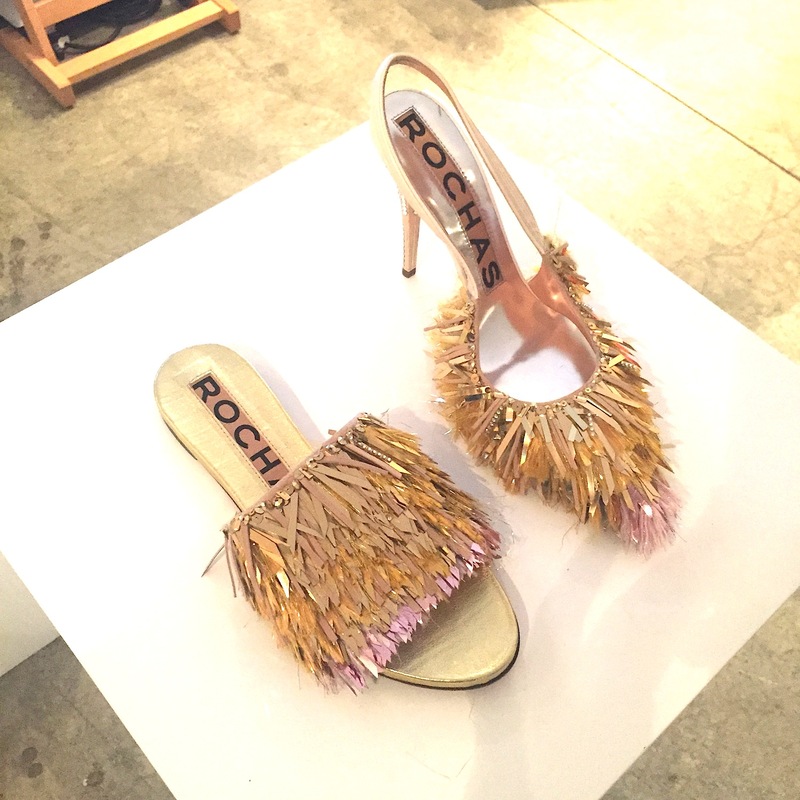 The Matches fashion event held at Duddells Hong Kong last night was a fashionista’s dream come true. 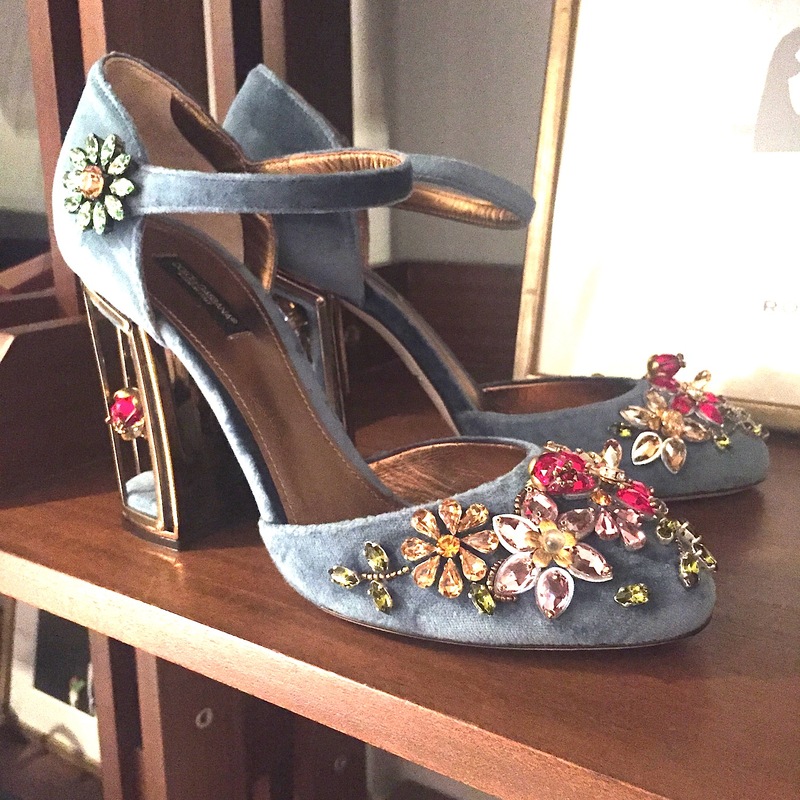 Plenty of designer niche labels were on display across womenswear, menswear, high end jewellery, handbags and arguably the most important category…shoes. 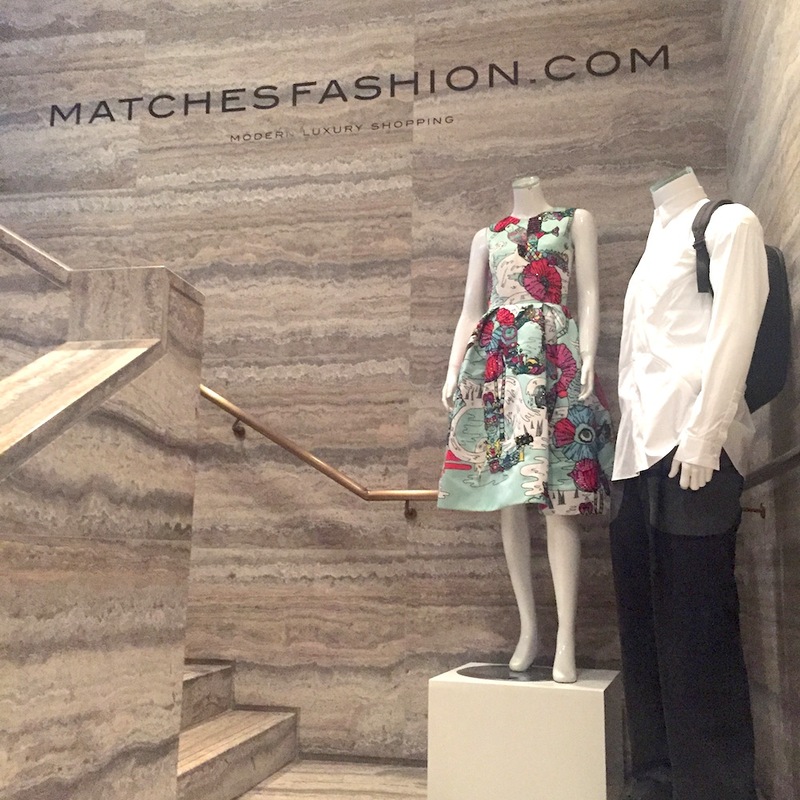 For those who don’t know about Matches, they are a UK luxury fashion retailer who curate a range of talented designers (famous and emerging) from across the globe. 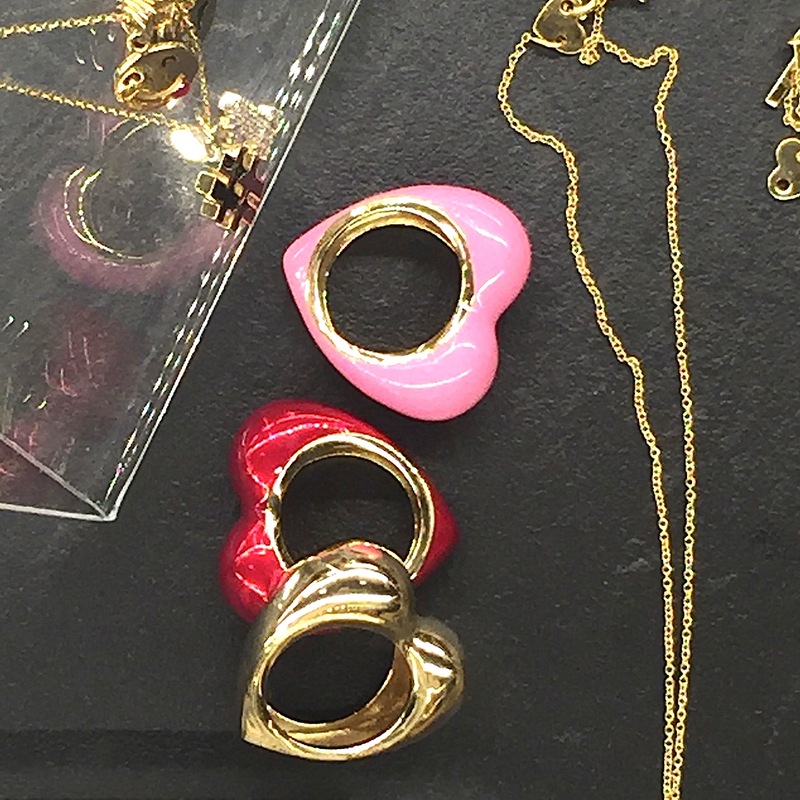 They are truly loved by fashionistas whom appreciate the brand’s ability to spot talented emerging designers, and are incredibly approachable when it comes to talking about fashion (unlike SO many other brands out there!). In other words, they really aren’t up their own a**. 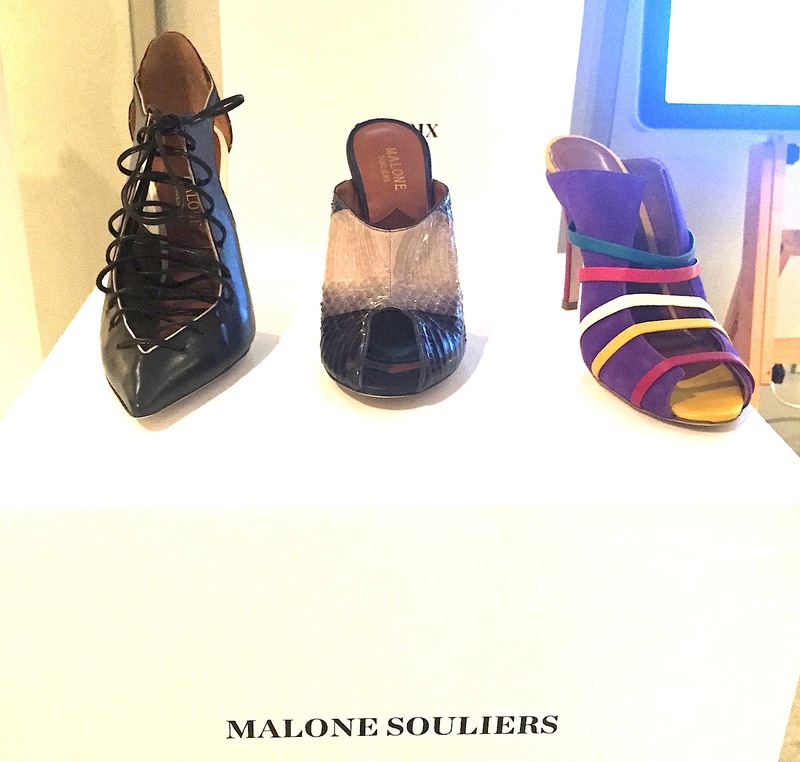 Malone Souliers shoes – which according to Matches, will be the next Louboutins! They are such works of art! 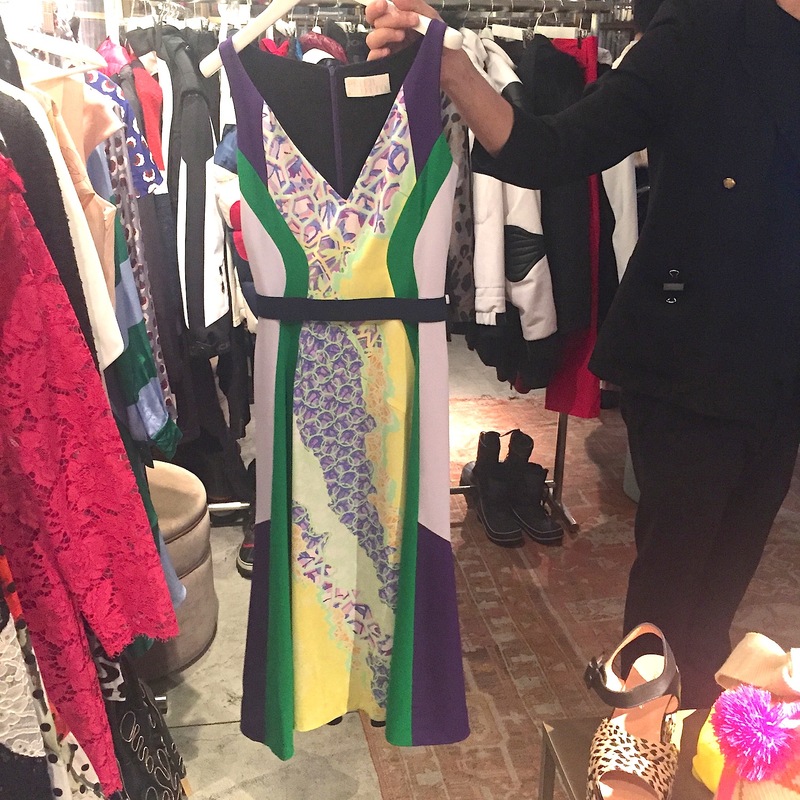 Peter Pilotto dress: We just love the combination of colour blocking, geometric design and prints all in one! 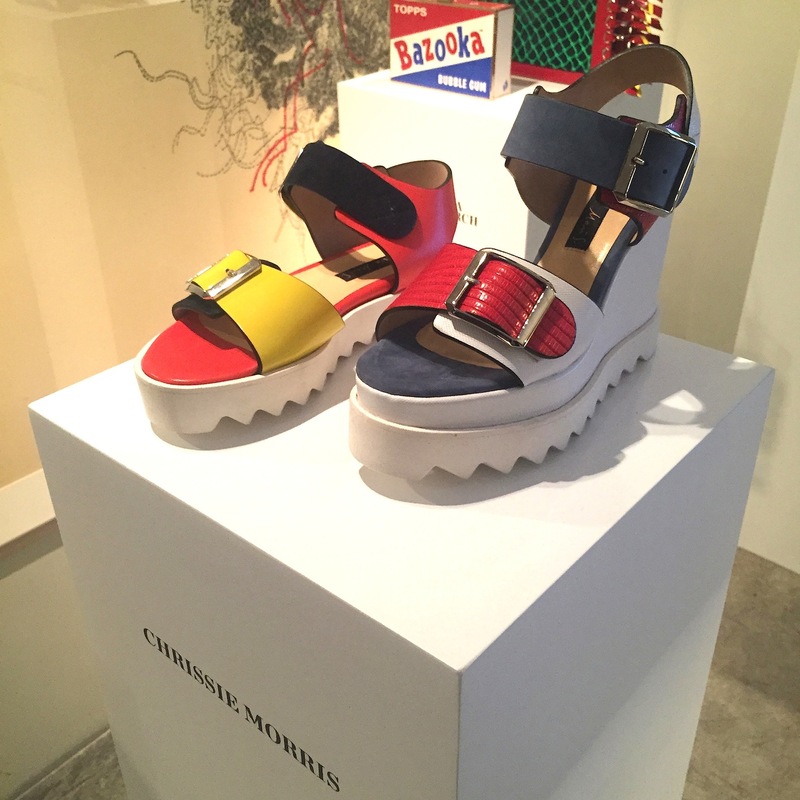 Chrissie Morris shoes: you just KNOW these would be super comfortable! 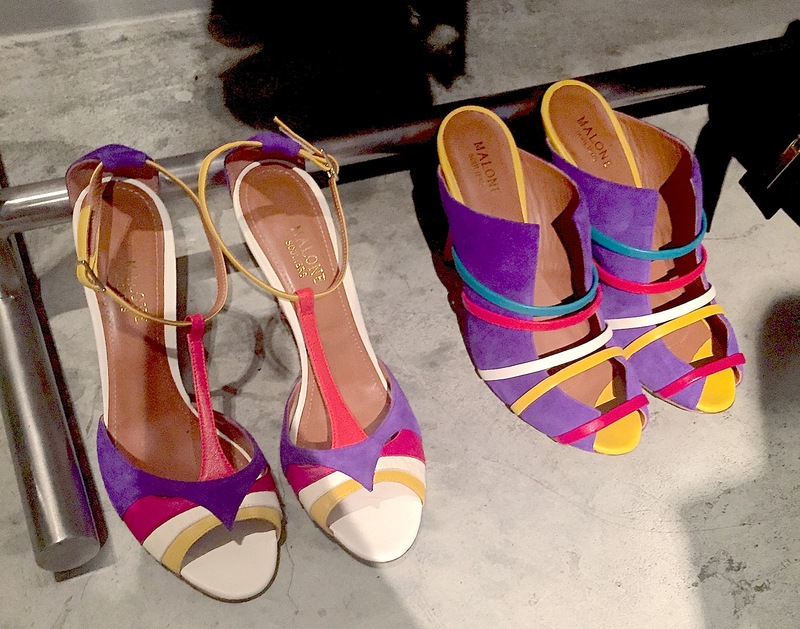 We would team the heels on the right with a simple white pencil skirt. 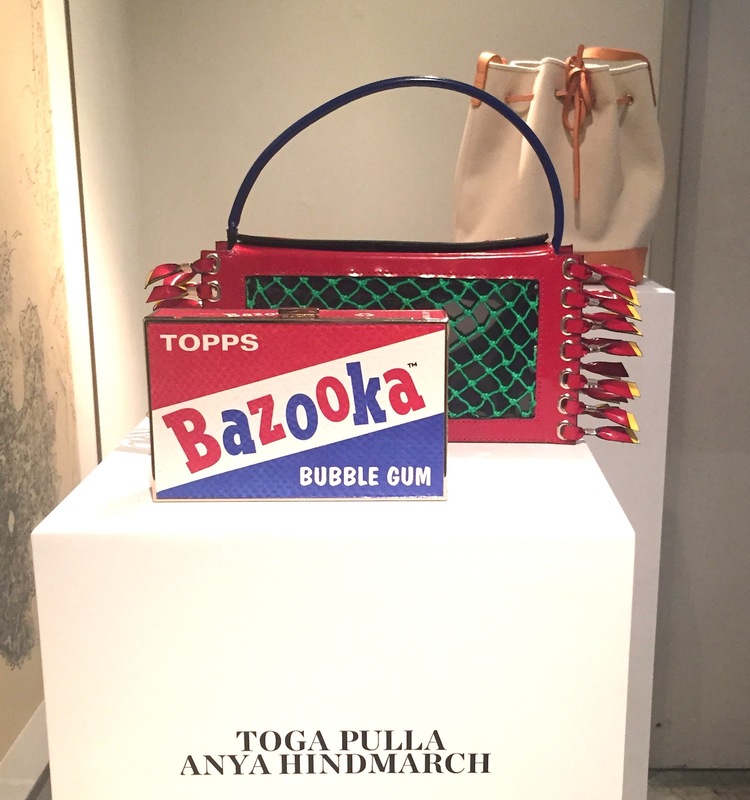 Toga Pulla & Anya Hindmarch: Toga Pulla was founded by former costume designer and stylist, Yasuko Furuta. 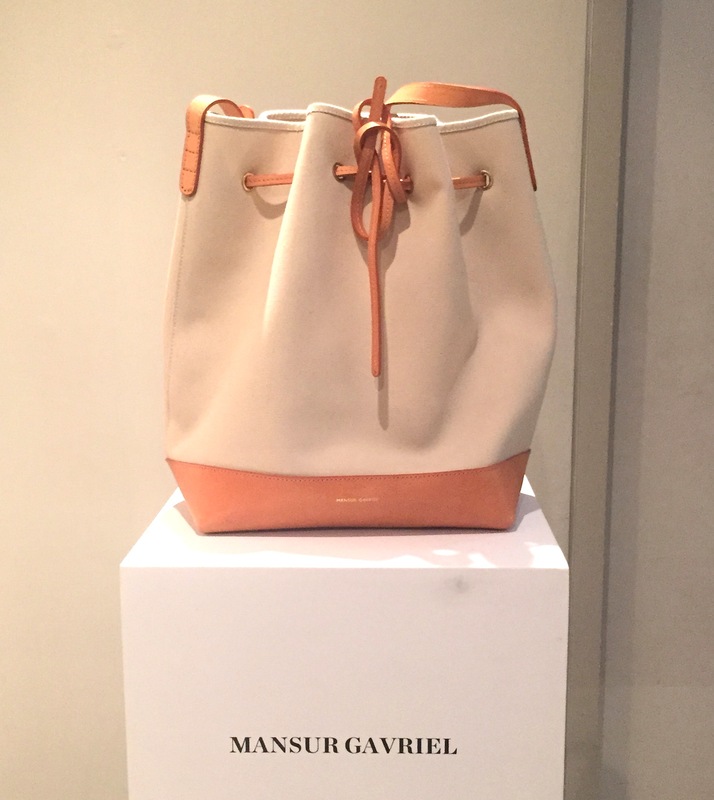 Mansur Gavriel bag: Simplicity in fashion = love. 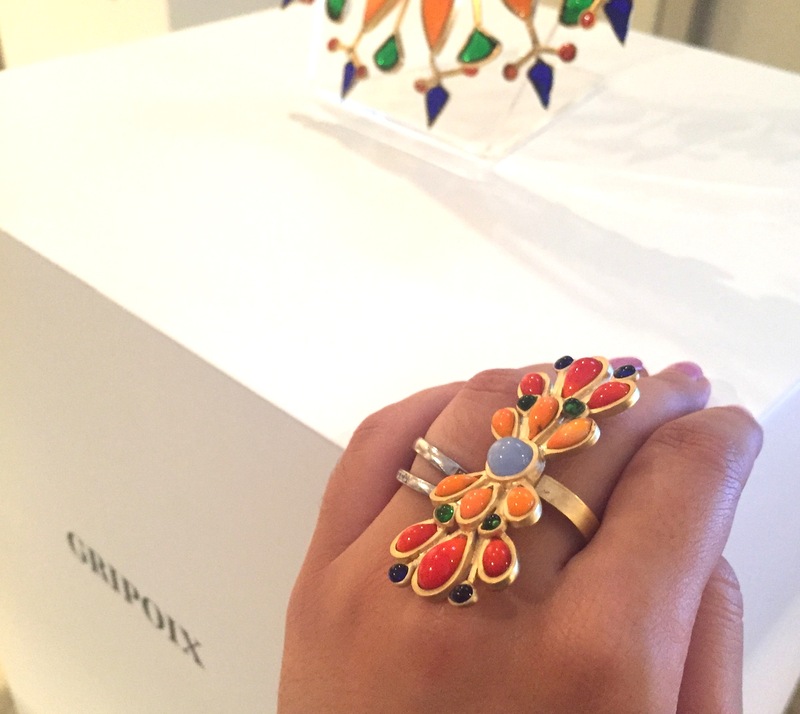 Gripoix jewellery: The French atelier has been creating luxury costume jewellery since 1868, they are one of (if not THE) oldest in the trade. 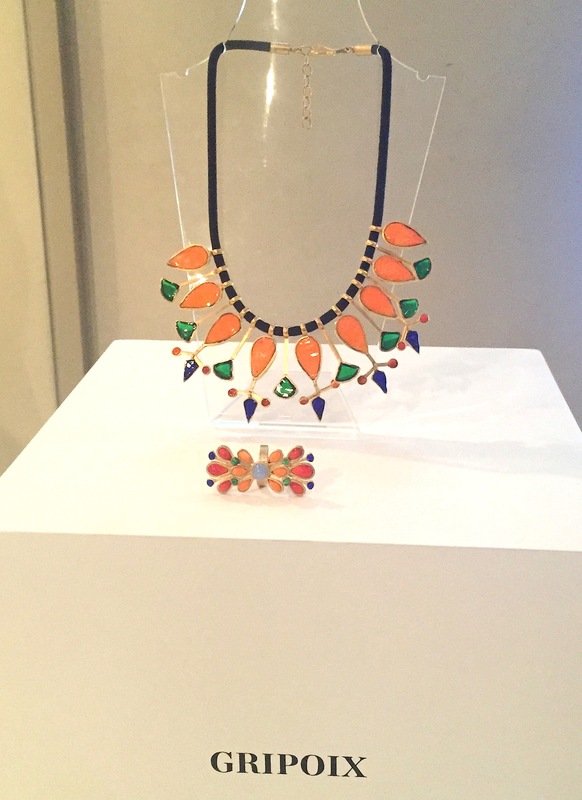 Stunningly beautiful pieces. 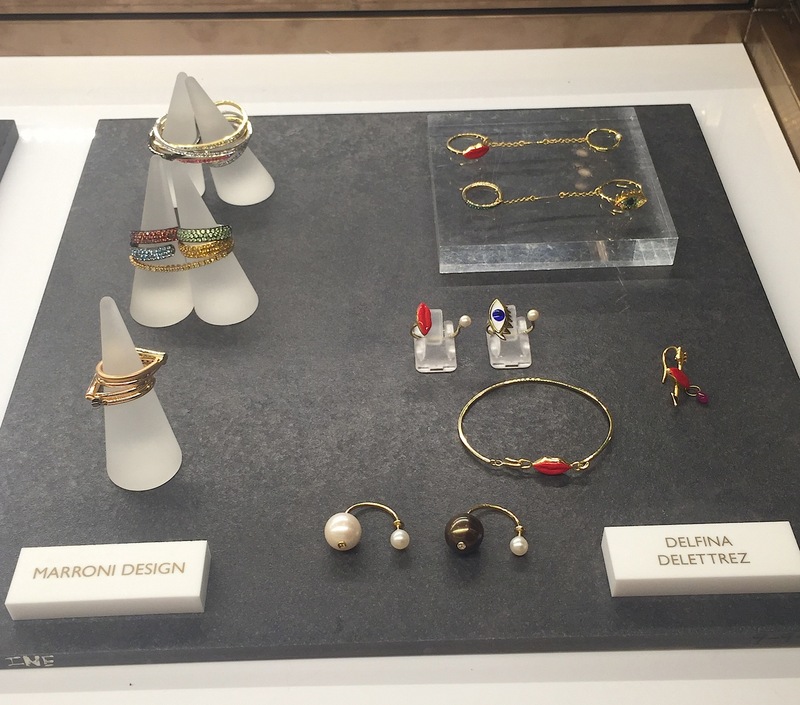 High end jewellery from Monique Pean and Dina Kamal: Carmen really loves the bracelet on the far left below. 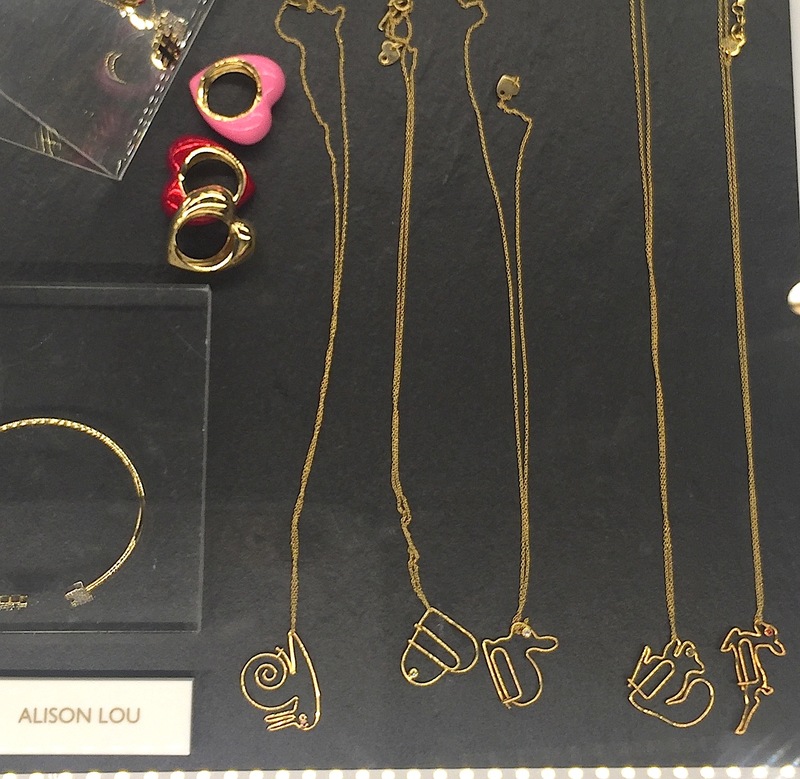 Alison Lou jewellery: Heart rings! 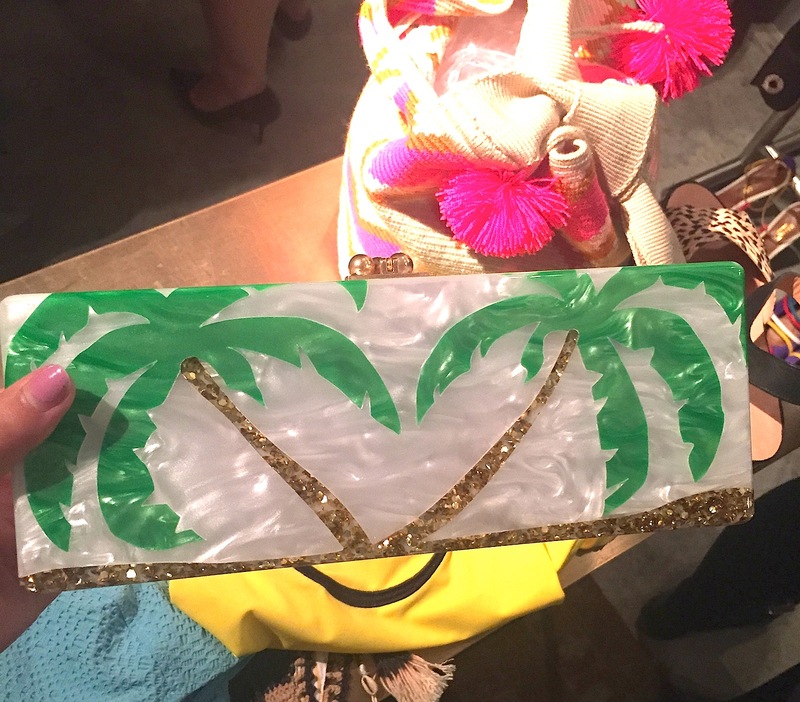 Valentino clutch and shoes: we’ve seen these everywhere in Asia but doesn’t mean we are sick of seeing it…. Givenchy high top shoes: O M G Carmen wanted to stop everyone in their tracks to look at these but managed to calm herself down (eventually): Palm tree clutch by Edie Parker: loving the mother of pearl! Strapless dress by Osman: TRUST US – this dress would look a million bucks when worn. 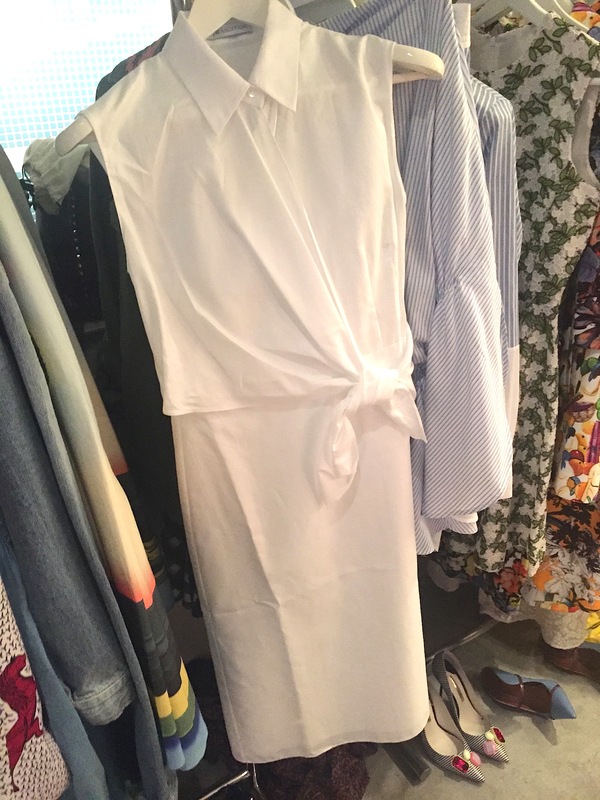 Love the simplicity of this J.W.Anderson white shirt dress below. 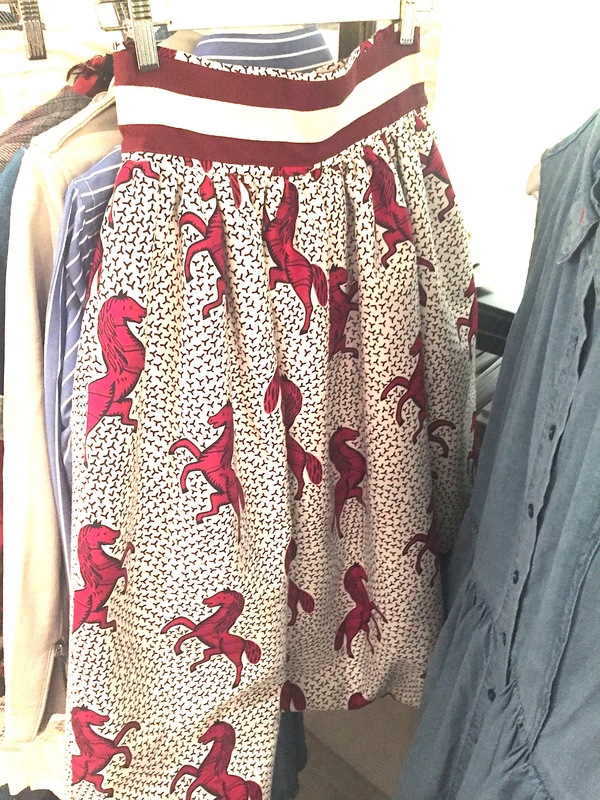 One of THE standouts of the night, this skirt by Stella Jean. There you have it! You can shop online at matchesfashion.com. 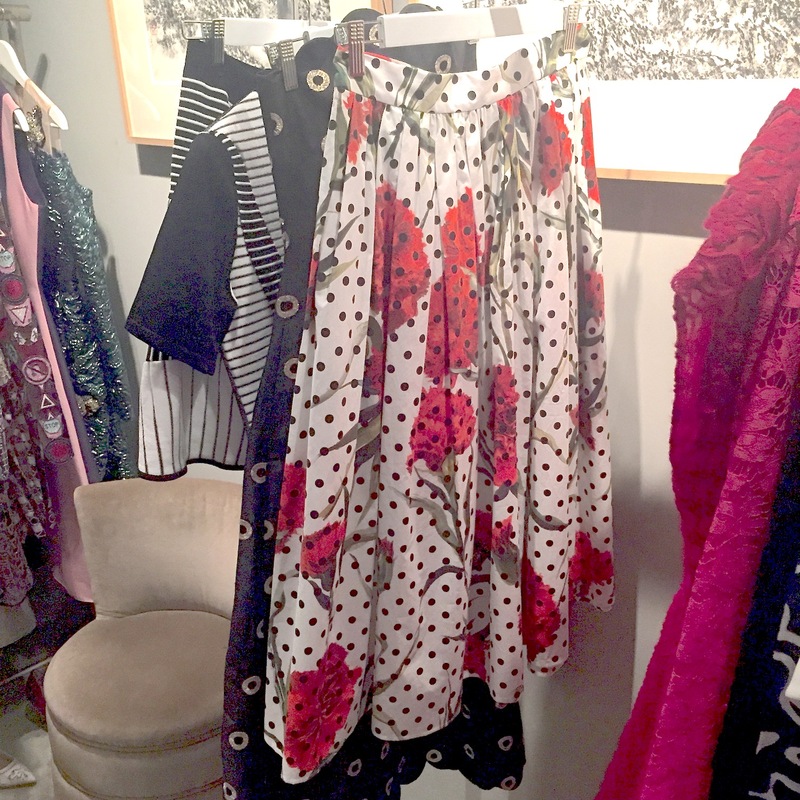 If you saw any pieces above that aren’t on the website, we would recommend emailing the Matches fashion crew – they were super friendly to Carmen last night so fingers crossed they get back to you! 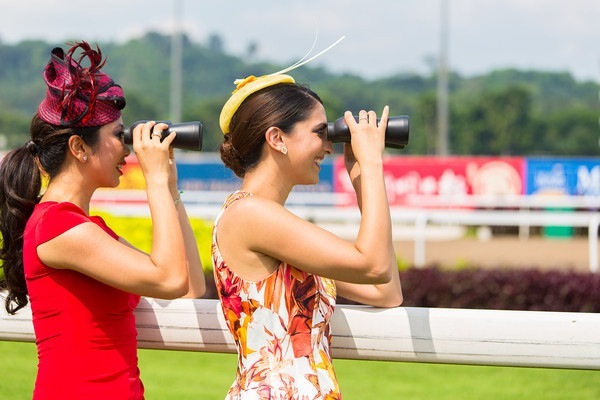 We’re SUPER excited that Melbourne Cup – the race that stops a nation (it literally does, so much so that Aussies get a public holiday out of it) – is just around the corner!! Having lived in Melbourne for over ten years, Natasha is used to all the hype and buzz approaching one of the biggest fashion events in Australia and Carmen and Natasha can’t wait to see the ladies all dressed up and gents looking super suave and dapper :). 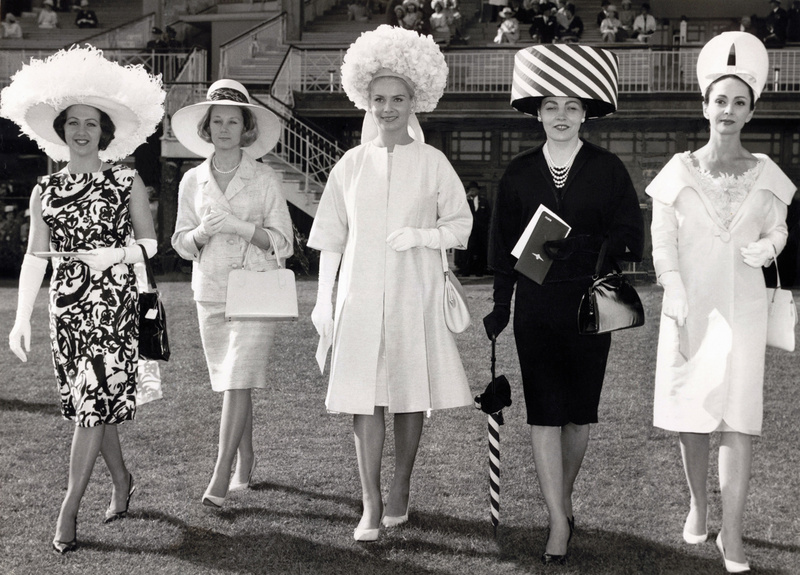 Even though it’s called Melbourne Cup Day (which falls on 4th November this year), let’s not forget that the fun actually begins today – which is Darby Day, the day for classic elegance, where everyone wears nothing but black and white (and it’s considered THE must-attend event), followed by Melbourne Cup Day on Tuesday, then Oaks Day on Thursday or also known as Ladies Day, where ladies get to show off their own style and creativity. 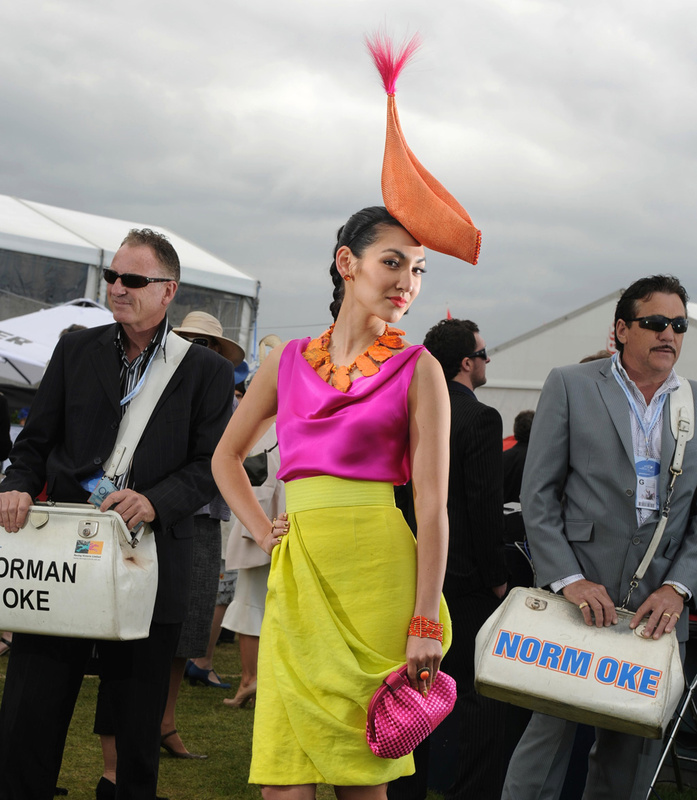 So you can imagine how thrilled we were when the Australian and New Zealand Association (ANZA) asked if we wanted to be on the cover of their magazine’s Melbourne Cup Day edition. 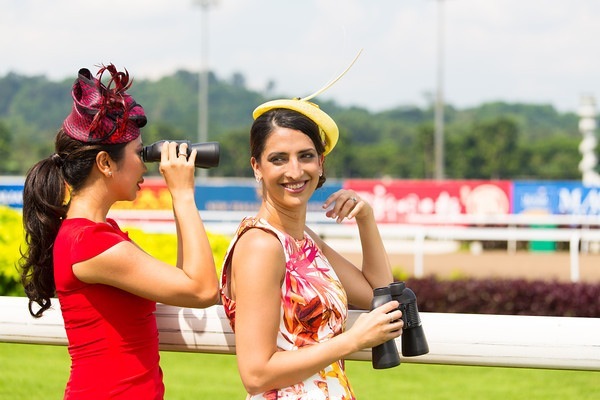 We started by getting our hair done at The Big Blow at Cluny court by the lovely and talented Ellie, and then off we went on our mini road trip to the Singapore Turf Club on what felt like a forty-degree sunny day. Sigh, the things we do for fashion! 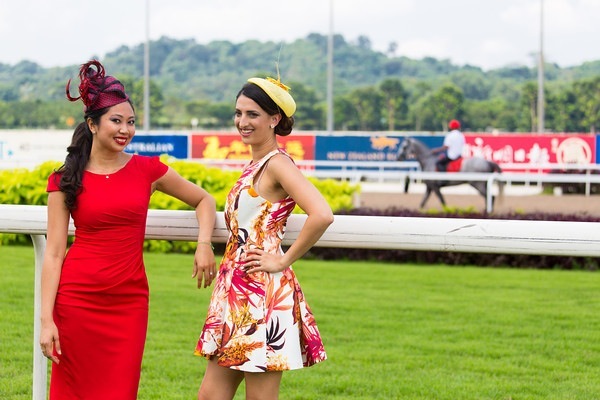 First the dresses, by the Australian brand Cameo the Label, which were from this gorgeous shop on Amoy Street called Willow and Huxley and the beautiful Singapore made hats by Hats Off. 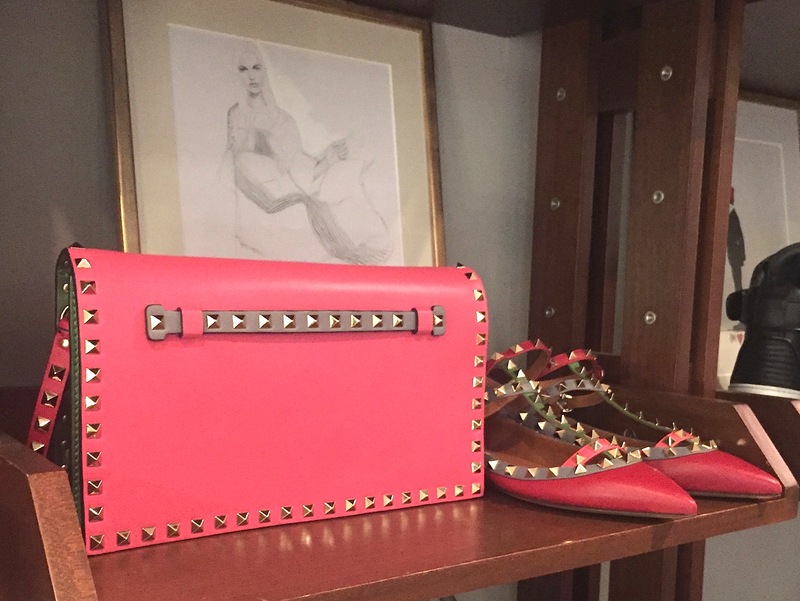 Natasha chose her Valentino Rockstuds in patent red, while Carmen chose the super killer heels by Schutz. If you never had the chance to walk on lush grass in stilettos, let us tell you that it is NOT easy. 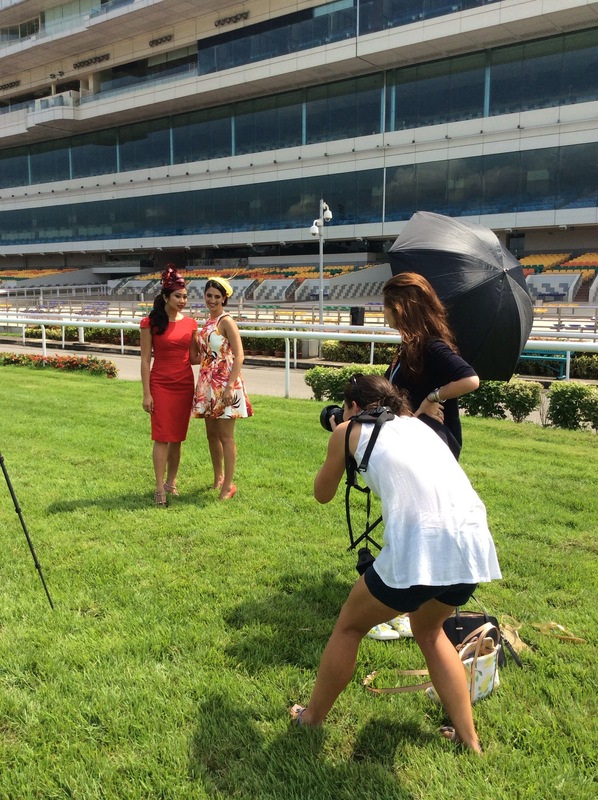 We had such a blast at the photo shoot, despite the heat! After all, what girl doesn’t get excited to wear pretty hats and dresses! 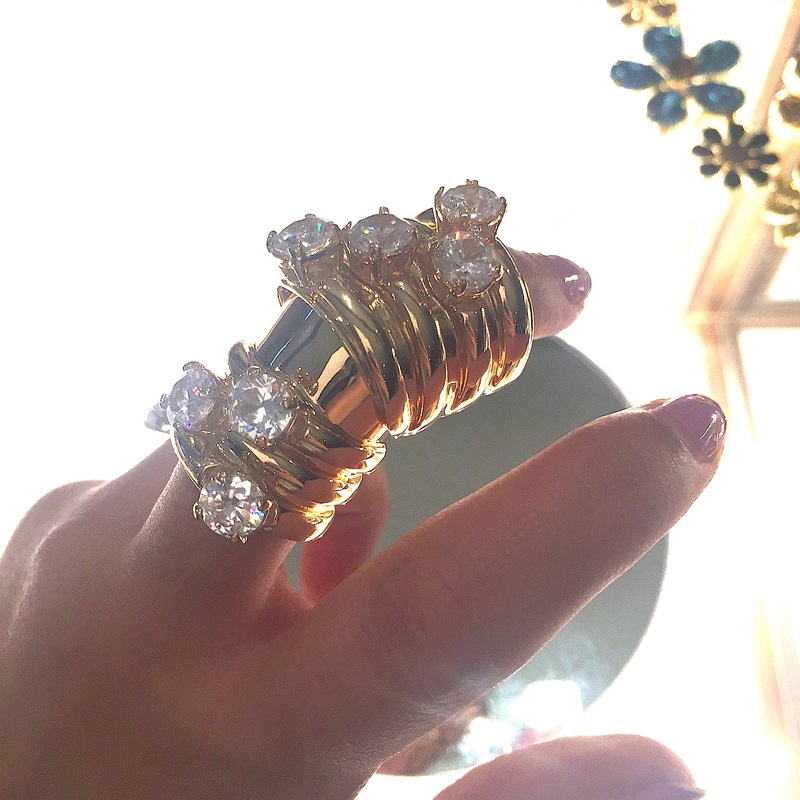 Today we hit up Sarnies on Telok Ayer Street for a meeting (and to recover from a fashion tv event last night! 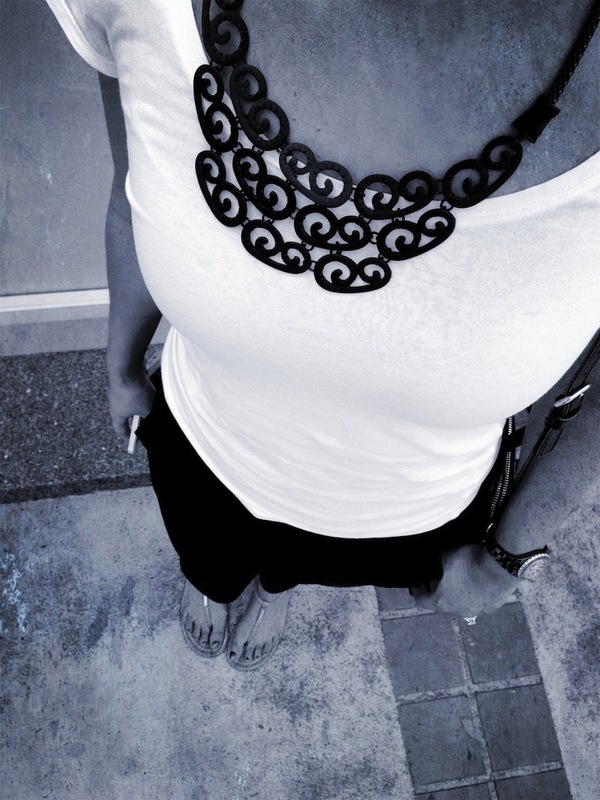 ), and we’ve gotta say – black and white just seemed to be the theme of today. 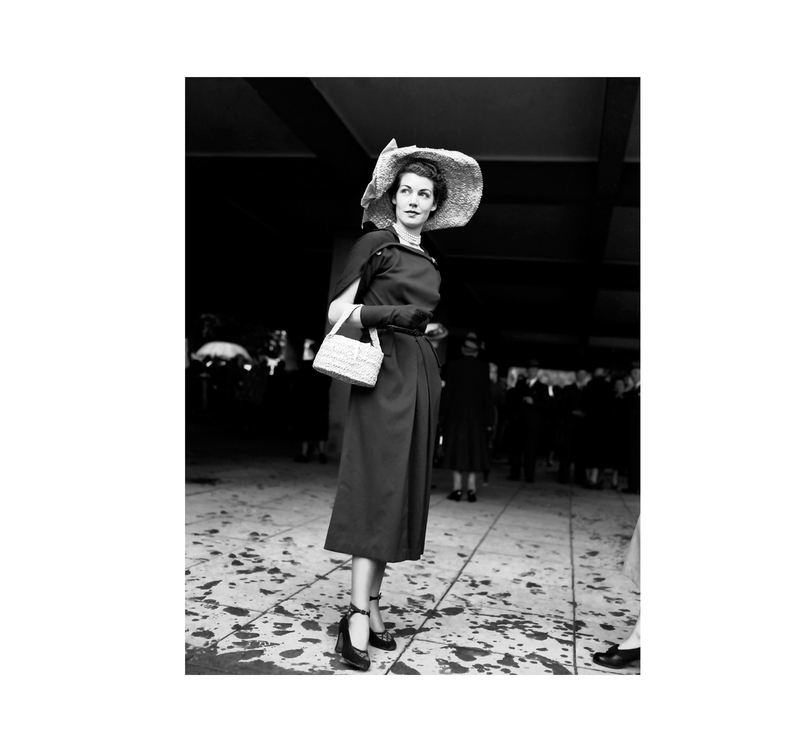 Carmen was having one of those days where everything called for simplicity. So she wore a basic white tee with black trousers from Zara, Kate Spade bag and Jimmy Choo jelly sandals, and added a necklace bought in Bangkok to jazz things up a bit. Natasha also wore black and white but jazzed it up with a pop of fuchsia! 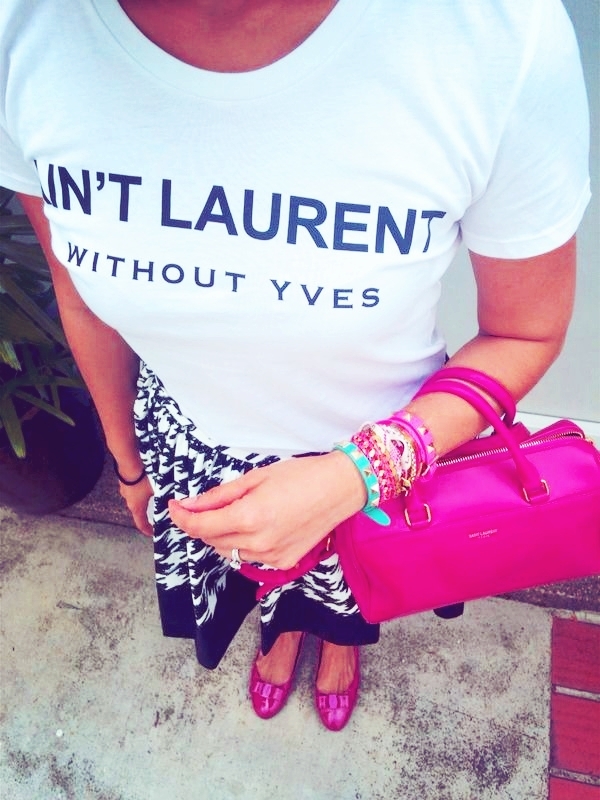 She wore her fun “Ain’t Laurent without Yves” tee paired perfectly with her Saint Laurent bag, Kate Spade houndstooth skirt, Ferragamo ballet flats along with Valentino & Hipanema arm candy! And here’s a closer look at our outfits! There are so many gorgeous lane ways just off Telok Ayer street – we loved the European lamposts found in this random alley! 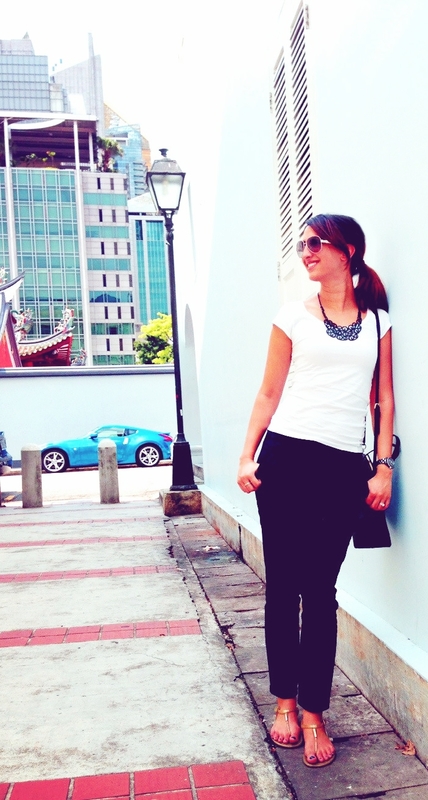 Simply perfect for those black and white days…. 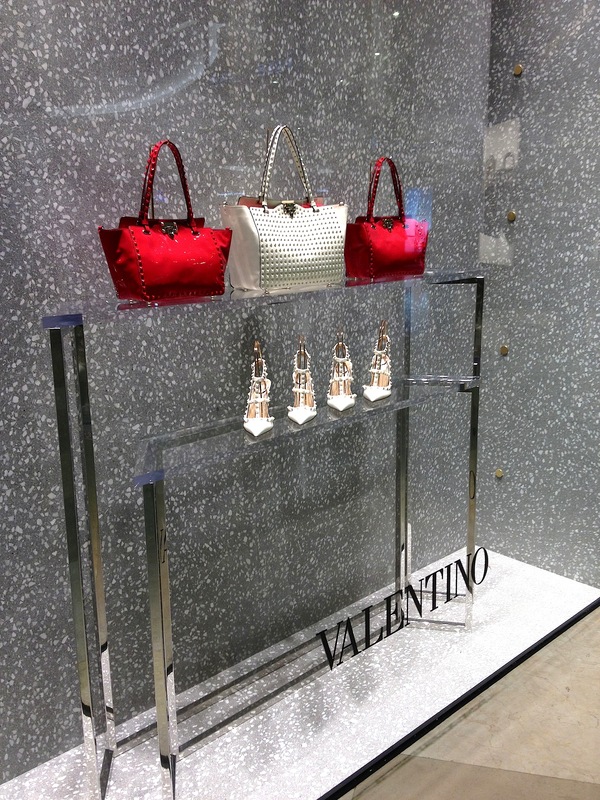 Well it’s all about red and white in Valentino right now. 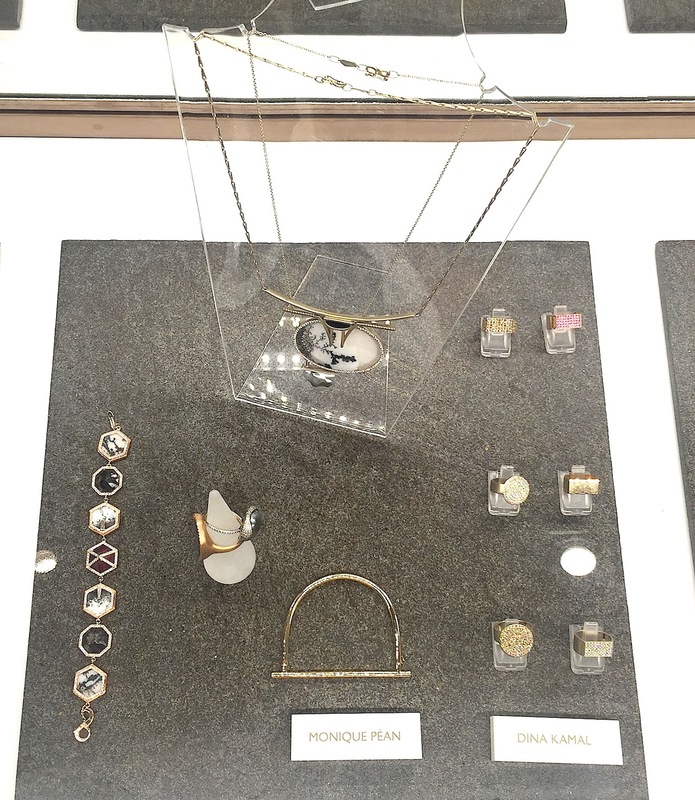 We are loving these stunningly simple window displays below – seen today in ION, Orchard. 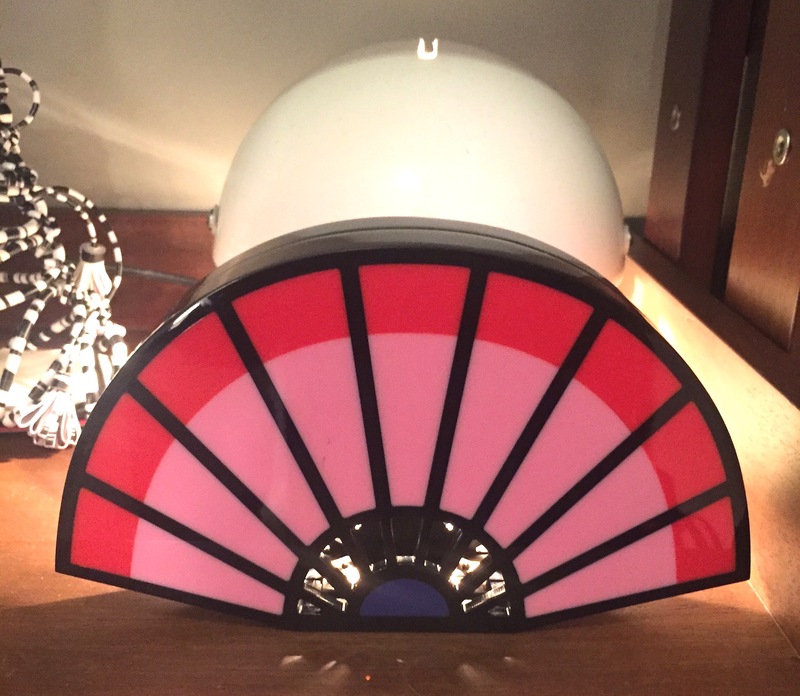 Window displays: let the products do the talking. We like it. 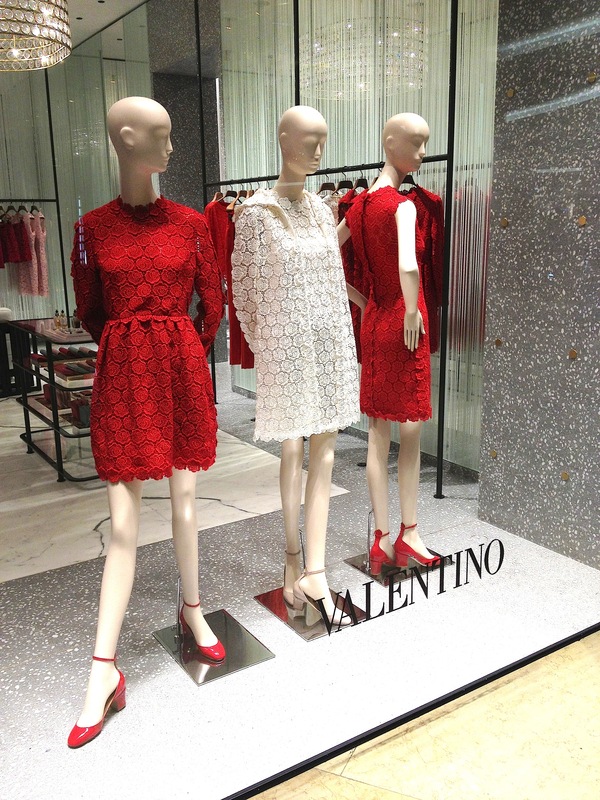 Check out this gorgeous Valentino “day dress” below – what a stunningly vibrant red!